I HAVE written before about the Canadian painters known as the Group of Seven. 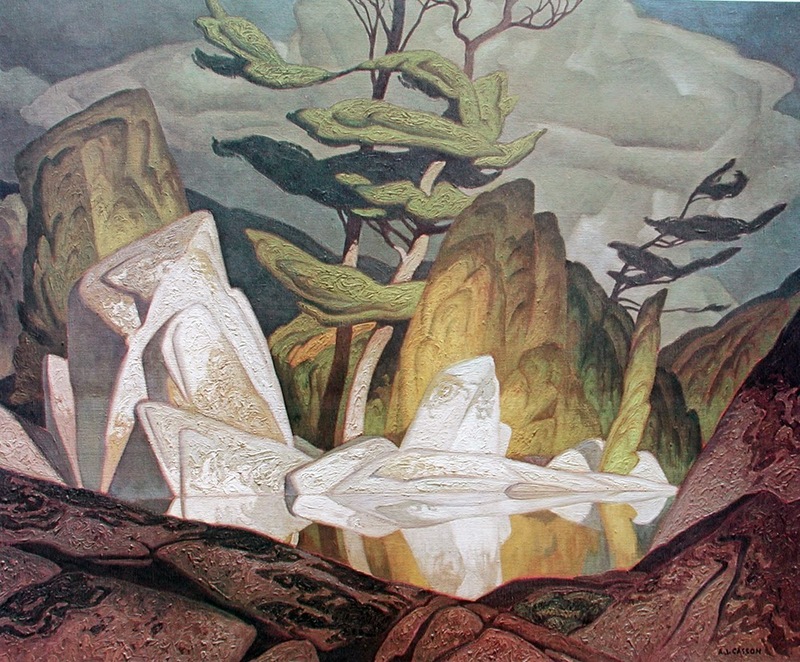 They all used an element of abstraction in their work but one, A. J. Casson, pushed the boundaries the furthest (his painting is seen below). Rockwell Kent had a similar approach to both drawing as well as painting. A fantastical quality is not foreign to many landscape painters–such as Albrecht Bierstadt and Thomas Moran. But Casson employed a more modern compositional sensibility. 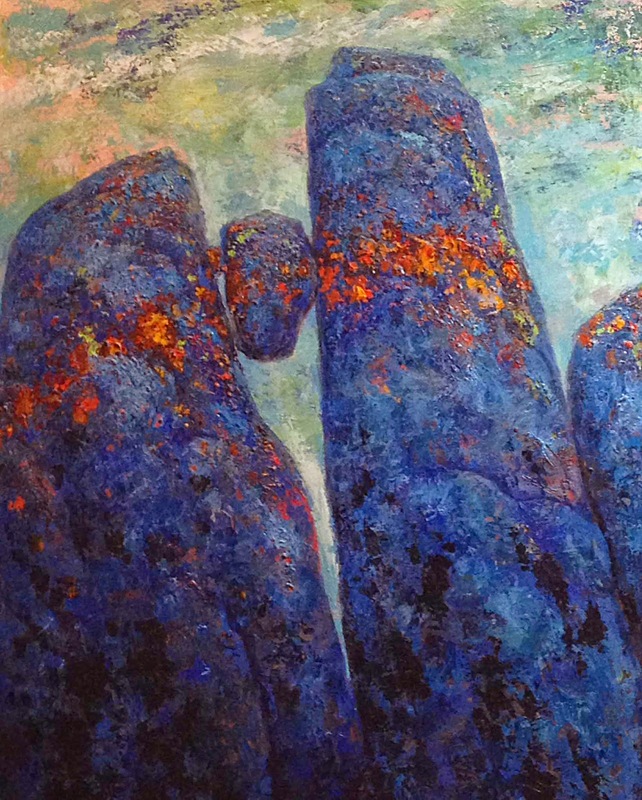 I'm fusing such compositional methods with my acrylic abstracts in an ongoing exploration of texture in paint.